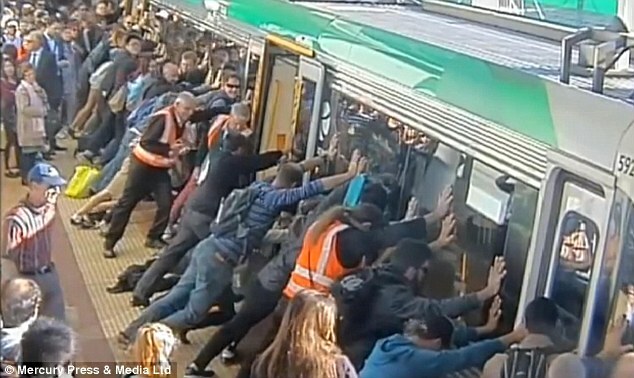 Did you see the news article from Australia where commuters spontaneously joined together to tilt the train so that a man could free his leg wedged in the gap? It was a heartwarming story of folks, seeing a catastrophe unfolding, pitching in to help the person who could not help himself. In the case of the trapped commuter, the humanitarian response seems obvious. Unfortunately, the metaphor of assisting others who are on the brink of disaster, does not always carry over with the same compassionate response toward folks who must rely on social services. I am often amazed that some of the kindest and most giving people on a personal level, who are so willing to offer their help to friends and family in need, either through church groups or civil associations, turn away in contempt when it comes to their more distant neighbors and fellow citizens. It would be arrogant on our part to assume that we can understand the complexities of various disabilities, such as schizophrenia, autism, addiction, depression or bi-polar. Compounded on these disabilities are the social scars from dysfunctional families or just plain bad luck. We must not scapegoat on those who are most vulnerable. Therefore, as a society we come together to help these folks, in a concerted way, through policy and practice of social services, rather than charity. Some feel that people on welfare or needing food stamps are getting a free ride at their expense. Media outlets with an agenda supporting corporate welfare, cast those who need help as undeserving, making up false accusations, such as their refusing to work, and this propaganda fuels the fire of hatred. If we look at the statistics, fraud and abuses are relatively minor. Sharing the facts about low fraud, however, does little to move those who have come to believe that folks that require social services are moochers. Some even point to owning a refrigerator or microwave as evidence that no one is really poor. It’s as if they want to believe the visceral and dehumanizing rhetoric regardless of the truth. If we do nothing to help the poor or disabled, that in itself is an abuse. Government assistance is an organized attempt to offer an ethical solution to poverty, and it is in the best interests of all citizens that we attempt to ameliorate the conditions of poverty. Otherwise, we face increased illness and crime, deterioration of the family structure, and a workforce unprepared for skilled jobs. Scapegoating on the down trodden blames these victims of circumstance, most of whom were born into their situation. It’s the multi-million dollar corporations which steal from citizens. Economic elites have significant impact on U.S. government policy, while average citizens have little or no influence. Corporations hire lawyers to figure every way to dodge our taxes, while still benefiting from working on U.S. soil. 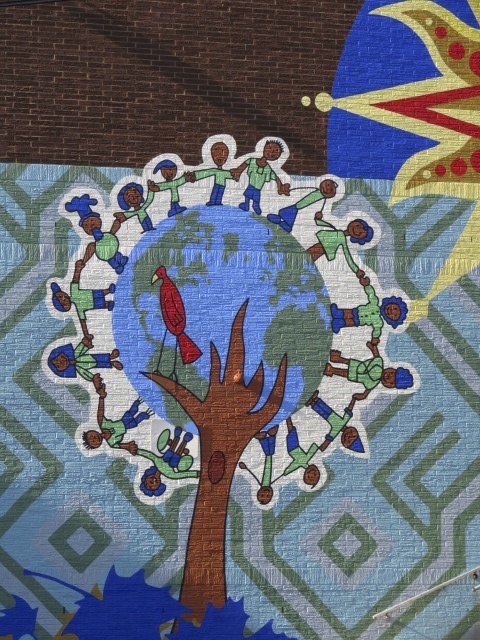 I believe in pulling together to tilt the train to help those caught in the throes of poverty, illness or despair. We must support each other for the health of the society and for ourselves, as it is in our own self-interest to help others. We are all workers, and an injury to one is an injury to all. Your an idealist, praise God. We need more of you in this world. Thinking about your superpowers blog post, http://lovehappynotes.com/2014/05/20/what-are-your-superpowers/, we have those powers when we work together for the common good. Thanks for commenting! Thanks. I agree. If we work together. Anything is possible. Superb post, Thanks for writing it and reading mine.